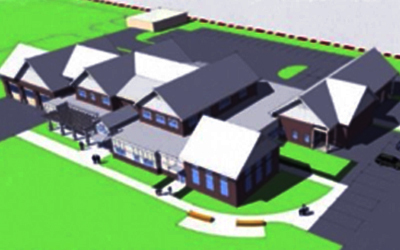 Description: The new Scituate Public Safety Building will be comprised of a 28,818-square foot facility that will serve as the HQ for both the local Police and Fire Departments. Located on Route 3, the facility will increase response times of emergency personnel for the residents of Scituate. The new facility will be split into two different areas- one for the fire department, and one for the police department. Additionally, there will be administrative offices, public records storage, prisoner processing and detention, lockers, a fitness room, and a training and community meeting room. Scope of Work: Fenagh Engineering and Testing performed all materials testing and inspection services for the new construction project. Specifically, Fenagh conducted soils analysis, concrete sampling and testing, rebar, and structural steel inspection.